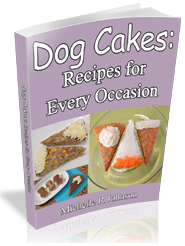 Dog Cake Recipes for Every Occasion is filled with over 45 original photos, 5 tasty, original, and tested dog cake recipes and 2 simple frosting recipes. But there's more than just recipes, I've also included pictures and instructions on how to decorate the cakes in almost 20 simple ways. Plus there's 2 full pages of tips and ideas on how to host a dog party for your next celebration. 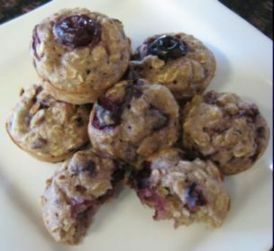 Read more about my new eBook, Dog Cake Recipes for Every Occasion, and check out the testimonials from my independent taste testers and their guardians. I want you to "party" down with all of these fun dog cakes. I chose the word "bake" because there's no more reasons why you can't bake an easy dog treat recipe or two. VERY IMPORTANT - you can only use one coupon code at a time. So, if you wanted to purchase both eBooks, you will need to make 2 separate transactions and enter the coupon code for each eBook. We still have many free dog cake recipes available. For example, have you tried these yet? Triple Apple Dog Cake - this dog cake recipe has three different texture of apples for your dog to enjoy. 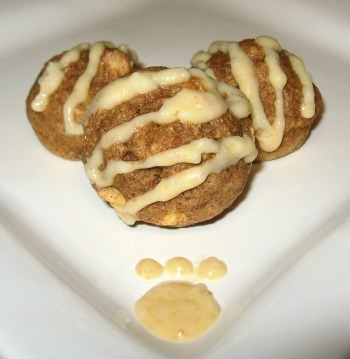 There's also an optional cheddar cheese glaze that allows you to decorate the little cakes for a fun twist. October 7th is National Pet Obesity Awareness Day. With all this talk about dog cakes, it really is a good idea for us to take a moment and learn more about the dangers of pet obesity. For example, did you know that as little as 5 pounds above your dog's ideal weight can lead to developing serious medical conditions? No need to fret, let's do something about it! :) Instead of a nice stroll with your dog, increase the pace and time of your walks. You should be breaking a little sweat when exercising your dog for weight loss. With any new diet and weight loss program, even for your dog, it's a good idea to check with his Vet for any special recommendations tailor suited to your dog. The Association for Pet Obesity Prevention has gathered a very helpful 4 page report on how to recognize obesity in your dog, and what to do about it. I highly recommend taking a look at it if you think your dog could benefit from losing a pound or two. "I love this newsletter. I've baked many of the treats you've given us (even though I don't have dogs). My brother has three fur kids, so I make him lots of treats and they love them. These treats are so handy around Christmas time too, because my friends love it when I give them a bag/box for their little mutts. Thanks."